At the beginning of January, I had a chance to meet up with a former professor for breakfast and good conversation. It was only a matter of time before politics and public administration were brought up as the topics du jour, and as it turns out, they pair best with avocado toast. After discussing the controversial nature of this election and its unexpected outcome, she jumped immediately into its impact on public administration. Per usual, my professor challenged me to think both outside of the proverbial box and in unifying, not divisive way. She succeeded. Our conversation centered on the importance of public administrators, especially in these turbulent political times. What follows are highlights of our conversation – and some of my additional thoughts on why the next two to four years will be a crucial time for public administrators. 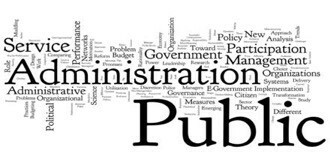 Career public administrators (PAs) work to influence public policy and serve others. Above all, they must be flexible and adaptable to work in whatever political climate they may find themselves in. Serving for many years and through multiple administrations, PAs provide stability during transitions in power. For example, after being elected, the President may replace the heads of agencies. Mid-level workers, however, continue on their normal routines of keeping government agencies moving. In this way, PAs provide institutional knowledge to incoming cabinet members, the President, and lawmakers. During this transition period, both federal and congressional bureaucracies are going to play an important role of providing incoming leaders, many of whom have no government experience, with the knowledge needed to perform their job duties. As America continues to change, cultural competency will become mission critical to serving the public. According to data from the United States Census Bureau, by 2044, the United States will cross over into a majority-minority nation; in other words, “no group will have a majority share of the total.” In addition to the ethnic changes, the United States will continue to change it other ways. A Pew Research Publication highlights 10 demographic trends in the United States, all of which will create new challenges and opportunities for PAs. Among the list of demographic changes are: the continued growth of women in the workforce. Women now are in more positions of leadership and this trend is expected to continue. Additionally, the United States is seeing the number of people identifying as Christians decreasing, while the number of unaffiliated persons and Muslims will continue to grow. As America continues to change, PAs will be left to meet the needs of a culturally diverse America. PAs will be aptly prepared to tackle these challenges, as the Network of Schools of Public Policy, Affairs, and Administration (NASPAA) continues to require cultural competency for Master of Public Administration and Master of Public Policy programs. During this time when political correctness and cultural sensitivity are seen as “unpopular” it is important that we continue to serve all individuals in appropriate, relevant, effective ways. PAs can help promote bipartisan policy alternatives. Lawmakers at the federal level remain rather unproductive; however, with Republicans controlling the House, Senate, and the Presidency, it is reasonable to expect increased productivity for the 115th Congress. However, there is still a potential for gripe with state and local governments – consider my home, Philadelphia, which has declared itself a sanctuary city, much to the dismay of the GOP. With the United States as polarized as it is, PAs will be challenged to come up with and enforce innovative, effective, bipartisan policies. If we look at one of the controversial laws to be passed this year—North Carolina’s HB2, or “bathroom law,” we see an unwillingness of political leaders to consider policy options outside of their political world-view—what Baumgartner and Jones might call a policy monopoly. When these policy monopolies exist, they dominate discourse and ultimately, prevent bipartisan policy solutions from surfacing. Instead, they make it appear that there are only two ways to proceed—a conservative way, or a liberal way. In the case of HB2, conservatives felt the only policy solution was allowing people to use the bathroom corresponding to the gender on their birth certificate. Liberals, however, could not entertain a law that would not allow a person to use whatever bathroom he/she/they/ze feel comfortable using. A PA might note there are several policy solutions – for one, having a unisex bathroom with one stall, could be made to meet Americans with Disabilities standards, provide a place for a gay or single dad to bring his child to change a diaper (often, men’s bathrooms do not have changing tables), and allow all individuals to have a bathroom that feels safe. A bathroom for the people! The list could certainly continue, but the above captures three key roles public administrators will play in the next few years. It is for these reasons that PAs must remain optimistic, and dedicated, especially given the scope of the challenges, and potential adversity, such as the Holman Rule. I would say the overwhelming majority of civil servants are not in policy making roles. They need to have the skills to be able to implement new policies coming down from the politicians and the political appointees. Bathrooms are very expensive. I would say that it is not such a good example where compromise is possible. The status quo often is a compromise position. There are many gun control laws on the books. There could be more or there could be less. There could be more restrictions on abortion or fewer. We can have more vetting of immigrants or less (or keep the existing vetting). Sometimes politicians speak as though the choices are all or nothing but that is seldom the case. Thinking back over my career, I just didn’t find the cultural issues were paramount. The hardest challenge was dealing with difficult people, regardless of their cultural background. Some people adopted the Steve Jobs theory of management — yelling and demeaning people because they thought they knew so much more than everybody else. That is really difficult to deal with.